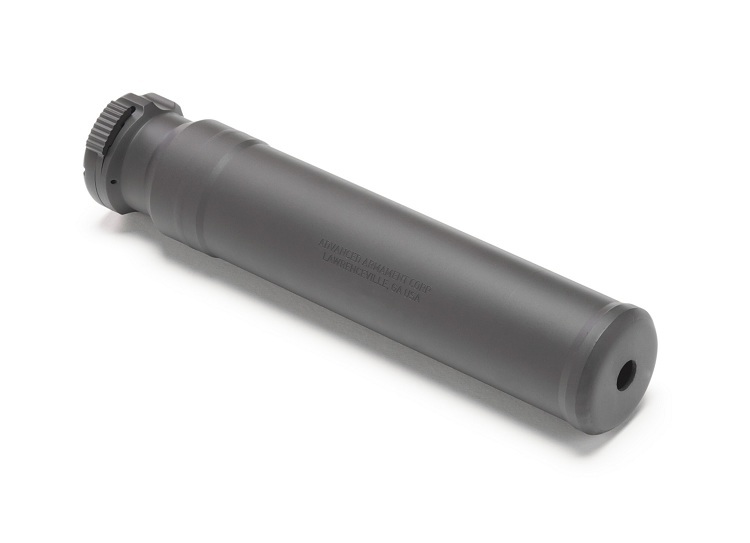 ​The SR-7™ is an evolutionary fast attach silencer optimized for 7.62mm hosts. Using a variant of the AAC 90 Tooth Ratchet Taper™ fast-attach system, users are able to securely install or remove the silencer in less than three seconds using an intuitive motion and gross motor skills. The rock solid interface of the 90 Tooth Ratchet Taper™ system minimizes point-of-impact shift and enables users to fully explore the accuracy potential of their host weapon. Includes 90T 5/8x24 Blackout® Flash Hider Mount. The durable, fully-welded 100% Inconel® 718 baffle cores of the SR-7™ is designed to minimize back pressure and feature a newly designed blast baffle that provides additional erosion resistance for use with short barreled hosts. Although optimized for 7.62mm x 51 ammunition, the SR-7™ is an excellent multi-caliber silencer that offers excellent performance on hosts chambered in 300 AAC Blackout®, 6.8 SPC, and 5.56mm. Caliber: 7.62 NATO & 300 BLK Weight: 19.6 oz Length: 7.6"